Today, I happily feature a man who has proven himself to be a real man of God and an inspiration to young men. Welcome Jim Copeland to our blog. Mr. Copeland, tell us a bit more about you? My name is Jimmy H. Copeland III. My father is a retired Lt. Colonel and practicing psychologist in Virginia. My mother is a practicing social worker in Virginia. I'm married to Tiffany, who is a Independent Beauty Consultant and Freelance photographer. I have two girls, Essence and Trinity and a little one on the way. I received my Bachelor and Masters degree at Texas A&M University-Commerce. I received my Bachelor’s Degree in Speech Communications and my Master’s Degree in Secondary Higher Education. I also obtained my certification in Special Education in the state of Texas. I am certified to teach Early Childhood through 12th grade. I consider myself blessed and fortunate to have an opportunity to encourage others wherever I go in life. What was you inspiration behind Life is a Game? While working in the prison system, I noticed how inmates and staff become desensitized to the violence all around them. It’s a normal day to see someone stabbed to death or to see 6 people kick a person in the head, arms, and torso repeatedly for 5-6 minutes at a time. Its normal for a person to run at the drop of a dime, to assist a staff member being assaulted 100 yards away. It is also normal to hear the ground shake underneath your feet because grenades are going off around you and shots of an M-16 shotgun are rattling your ear. In my job, it is easy to be plagued by fear. You have to be positive yet aware of your surroundings. My goal is to inspire people to take back control of their lives. You can use fear to make you stronger or fear can destroy your life. God has blessed me with a gift of exhortation. I love to encourage people and exhort people in achieving God’s best in their lives. I woke up one morning last fall, and started typing. It was like a flood being released within me. Thoughts and ideas came to my mind and I wrote them down as fast as I could. I pray people are exhorted and motivated to get up and be all that they can be. I hope that this book gets them on their feet in pursuit of their passions in life. My goal is for people to be encouraged and sharpen the tools (gifts and talents) that are within them. I long for people to stop looking down in their lives at all the problems and situations that surround them. We all will have problems and situations. The question is what are we going to do about them. Somethings in life we can’t change. However, we can reduce our anxieties and worry by not focusing on the things we can’t change but on the things we can. Our choices dictate our world. What choice will we make in life? I hope people regardless of where they are and what they are doing are motivated to make good choices that don’t simply help themselves but impact generations to come. How did prayer play into the book? I believe that God answers prayer. I also believe that God can use people to do his will. All He asks for is a willing vessel and obedient spirit. God laid this book on my heart, and I sought God on what to do and how to do it. To be honest, when I finished writing the book, I sought to simply print it out, self publish and give it away. I just wanted people to be blessed. A question was posed on why don’t I get it published, so I sent the manuscript out on the internet to publishing companies to see what happened. Living Waters Publishing Company liked the manuscript and agreed to work with me. It gave me joy to know that I was backed by a company who lifted me up in prayer and was equally dedicated to my vision and cause. Do you have any other works in the making? Tell us about them. 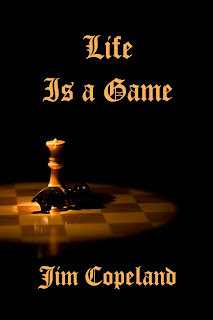 Currently the book Life is a Game is almost finished with its revision. I pray that this revision touches even more lives and encourages people to maximize the passions of their life. The revision expounds on Life is a Game by exploring the different aspects of through segments called Winning Life’s Battles and Living Victoriously. Winning Life’s Battles explores the battles that we face in life and how to be victorious. It allows us to look at what kind of person we are and what is needed to be a champion. Living Victoriously will catapult the reader into I can and I will, versus I might, maybe, and I’ll try.This will all be in the revision. I am also working on a piece called, Where’s the Love? It is a letter to the church. The design is not to condemn or judge, but for believers to do a self check. The Bible says to judge yourself. Sometimes in life we get so caught up in the world that we lose track of who we are really serving. The question is posed, "Do we really love God." 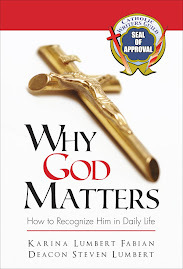 I believe this book will be a dynamic life changer which will cause believers to get back to the basics within their faith and hopefully out of the snares of traditionalism and religion. Take a moment to speak to our readers from the heart. I appreciate your support and investment. My goal is to inspire you to be successful in all your endeavors. This book is for everyone, however, I have a special message for young people, teenagers and pre-teens alike. I do understand how hard it is to find yourself. I know how it feels to be forgotten. I know how it feels to be alone, and trying to fit in. Through my trials and transitions, I found that the harder I tried to fit in, the more I lost myself. When I say losing myself, I mean I lost my identity. I was so busy trying to fit in that I became more like them for acceptance and less like me. I slowly began to see through negative and positive choices that all I need is within me, and all I have to do is to be myself. Being who God created me to be is all that is necessary for me to have joy and peace in my life. There is nothing wrong with being an individual. All great men and women in the past had to stand alone for a season. After standing alone, people gravitated to them. People gravitate to strong people because they have something that they need. You have what they need, so be that trendsetter and strong person. Give us some contact and purchasing information. 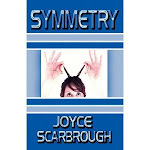 The book is available at Books-a-Million, Borders, Target.com, Amazon.com, and Powell's. Please feel free to learn more about me at www.jimcopeland.org.